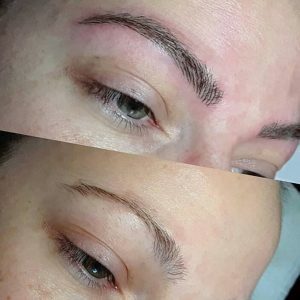 Microblading is a way of semi-permanent tattooing, where through manual process of inserting pigment into the upper layers of the skin we create the desired fullness and shape of the eyebrow. The effects last 1 to 2 years depending on the person. Pigment will fade leaving a lighter shaded brow. 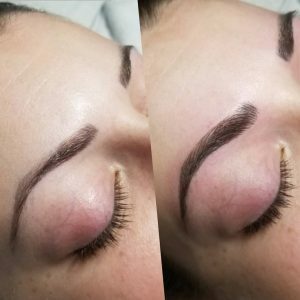 Results look natural and flawless as hair effect is recreated on the skin.